What is a Linear Potentiometer? 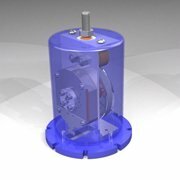 The term Linear Potentiometer covers a broad swath of devices but we are specifically interested in those historically used with hydraulic actuators. Linear Potentiometers are referred to as a “contacting technology” because they require physical movement and contact between a wiper and a resistive element in order to operate. A sliding contact moves along a linear resistive element acting as a variable resistor. The proportional change in resistance is used to indicate the position of the piston in the case of hydraulic cylinders. Wear occurs on the resistive element over time, and this condition is accelerated by contaminates compromising long-term reliability. As mentioned above, the fundamental issue with linear potentiometer usage in mission critical position sensing apps is that they are at the end of the day, a contact based technology. 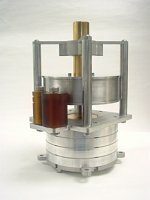 Contacts wear out, fail, are affected by heat, humidity, pressure and vibration and are generally less accurate than non-contacting technologies such as LVDT linear transducers. Poor repeatability with varying temperatures is another concern when specifying linear potentiometers. When your operating environment demands the most robust sensor implementation possible, an LVDT sensor represents a completely non-contacting technology and provides the highest level of immunity and protection from demanding environments. In the case of the pressurized hydraulic environment, LVDT sensors have a long track record of long term reliability in applications such as proportional hydraulic valves. CPI has cast off the design limitations and drawbacks of linear potentiometers in the design of their LVDT based Linear Position Sensors, replacing completely and outperforming in every important way, the Linear Potentiometers of yesteryear. This patented technology builds on well established, field tested principles while combining them in a new design that advances the reliability and versatility of these devices. These LVDT based Linear Position Sensors find applications everywhere from the robust high temperature environment of a steel mill system control, to the undersea world of hydraulically operated blowout protectors on massive underwater drilling operations. Not to mention everywhere in between where harsh environments and maximum durability and reliability are a concern. 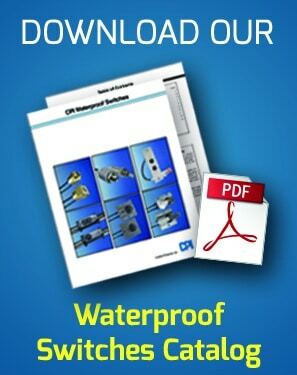 LVDT Based Linear Position Sensors by CPI – A Revolutionary Evolution. CPI’s LVDT Position Sensor is neither Rod-Based sensor, nor is it a “string-pot” in the classic sense. By combining LVDT technology with a more generalized implementation of draw-wire sensors, we have created (and patented) something truly unique. 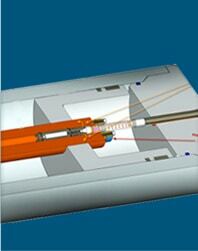 Our Linear Position Sensor Technology is completely Non-Contacting. A single LPS part can retrofit a failed rod-based sensor of any length, lowering the costs of maintaining field inventory for a variety of equipment. The CPI LVDT Linear Position Sensor is designed to field replace Rod-Type Sensors with no gun drilling required. It fits and operates perfectly in the existing center bore where the failed Rod is removed from. 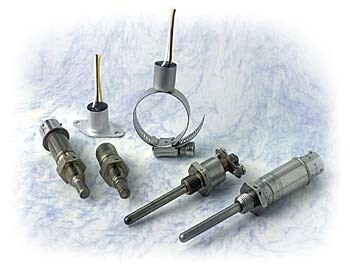 The LVDT Technology uses no sensitive electronic components and is certified to operate up to 300 degrees F.
CPI’s SL Series Sensors support Long Stroke Position Sensorrequirements up to 23 feet as a drop in replacement for broken rod type sensors. If you have not seen our technology in action, see this video to understand how transformative this sensor technology could be to your operations.